The Belmond Villa San Michele, high above the Renaissance masterpiece which is Florence, is one of the most famous hotels in Europe. Its fame is deserved, for its setting and its facilities are remarkable. But, even if it were an empty ruin, this building would still attract the attention of the discerning. 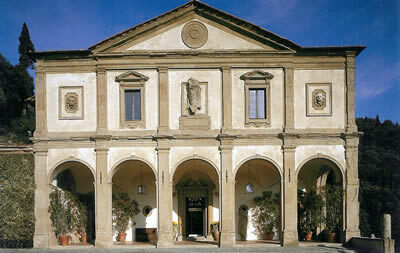 For its façade is attributed to the great Michelangelo himself. As my taxi climbed the hill to Fiesole, the small cathedral town in which the Belmond Villa San Michele is located, I wondered – as I had on my very first visit many years ago - whether that first glimpse of the entrance would disappoint. Again, it did not. Graceful, perfectly proportioned and wonderfully inviting, this was as radiant as the smile on the face of the gentleman who stepped forward to open the door into the chapel. The chapel? 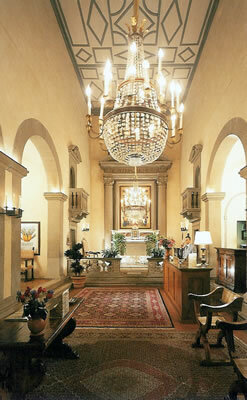 Yes, the reception hall is in the chapel of the old Franciscan monastery. The sanctuary and High Altar are still there, although the paintings by Old Masters have, sadly, long since gone off to museums. Those we see today are but copies. Still, the space was as it must have been for the friars: high and cool and serene. Here I first encountered the combination of high art, tasteful luxury and courteous service to which I was to become accustomed over the next few days. Immediately upon entering, I was impressed by the fine furniture, the expensive fabrics and the careful lighting. Everything was as I like it: traditional and welcoming. I wandered through the public rooms and found myself in the Cenacolo Room, with its fresco of The Last Supper (‘cernacolo’ is the Italian word for last supper), painted by Nicodemo Ferrucci in 1642. I noticed that Judas Iscariot was seated on the right, identifiable by his lack of a halo. When the Franciscans settled here in the 15th century, they chose their site well. From it the whole of Florence, framed by its surroundings hills, is visible. Dominating all is the great dome of the Duomo, at this distance looking almost modest. The city is actually quite near (the hotel shuttle ’bus takes about ten minutes to reach its centre), but its urban noise and bustle are in another world, far removed from the quiet serenity of the Villa San Michele and its terraced gardens. Most of the hotel’s accommodation is reached by going through these gardens and then up some steps. Here, I must issue a word of advice. If your billet is on the top floor, as mine was, there can be quite a few steps (54, in my case), and there is no lift. My counsel is therefore to ensure that your room is on a lower level, particularly if, like me, advancing years have taken their toll. Still, number 65 was a most pleasant place in which to stay, with its own front garden and plenty of space inside. 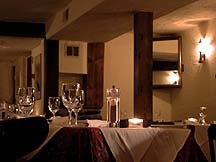 It was an Executive Junior Suite, and therefore 2,090€ a night, bed and breakfast for two. Bright and pristine were the two epithets which occurred to me as I walked in onto the floor of brown ceramic tiles. In the bed-sitting room the walls were cream and so were the curtains. The furniture included a sofa, a writing table, a small dining table and two chairs. Wall lights, table lamps and a twelve-branch chandelier provided the electrical lighting. Belmond hotels are renowned for the excellence of their bathrooms, and here I could understand why. Toiletries (both Bulgari and Penhaligon’s) were abundant, as were the large, soft, white bath towels. There were two wash basins, a large tub, a separate shower and a separate loo. Another Belmond characteristic is to have both the hanging space for clothes and the private safe in the bathroom, and thus it was here. This was a good place for my pre-prandial ablutions. And so to dinner. 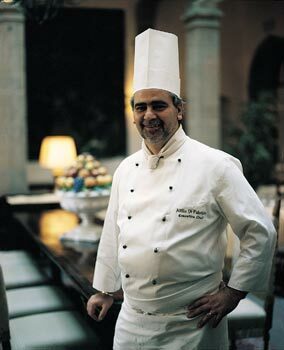 Chef Attilio di Fabrizio (pictured) offers a Menu Gourmet for 115€, but I went for four courses from his carte (for which you should allow around 130€). This was a very good meal, for Chef di Fabrizio’s food is based on the finest ingredients, handled expertly in the traditional manner. It would be extremely difficult not to enjoy a meal here, and I most certainly enjoyed mine. Warm blue lobster was precisely cooked, its tender sweetness offset beautifully with the bitterness of a wild salad and the lusciousness of a herb sauce. Then the pici (a form of pasta from Siena) with duck ragout and flakes of ewe’s cheese provided a dish both rich and satisfying. The veal medallions, accompanied by potatoes au gratin, carrot dumplings, peas and truffle sauce, brought intense pleasure. I confess that, at this stage, I knew I had tucked in a little too well, so I confined my pudding to some jolly good home-made ice cream. 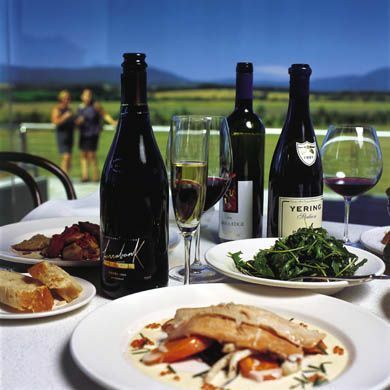 The wine list, apart from the champagne, is Italian and is divided into sections with titles such as “Well-structured red wines”. There are 598 offerings, including 52 magnums. Prices run from 32∙5€ for a 2014 white Vernaccia to 3,400€ for a double magnum of 2006 Masseto. In the section entitled, “Great Wines and Unique Vintages”, I noticed these gems: 1985 Sassicaia (3,200€), 1988 Solaia (487€), 1975 Brunello di Montalcino, Biondi Santi Riserva (1,300€) and 1999 Masseto (1,200€). My own drinking, guided by the excellent sommelier, Silvestro Napoletano, included the lovely red Tuscan, Piaggia, in its 2012 vintage, which yielded a thrilling intensity of black fruit and lovely undertones of leather and spice. I was grateful to Mr Napoletano for this expert guidance. 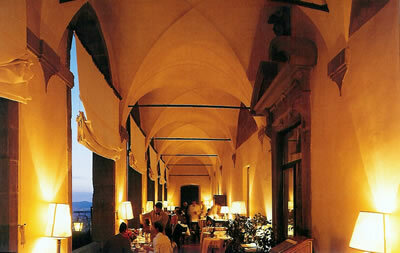 This eating and drinking was done in the Loggia Restaurant. Here I sat next to an ancient stone balustrade, with a beige tablecloth before me, and looked across a hillside of poplars, over green fields and on to the city of Florence. I sat comfortably, because a chair had been brought in from another room to give more support to my ailing back. (This helpful service was entirely typical of the attitude of every member of the staff I encountered.) The pianist tinkled, the other diners chatted amiably and I thought that there could be few lovelier places in the world in which to dine. Riedel glasses, waiters in black tie, Christofle cutlery, a single candle on each table, the magical view of Florence in the distance – all contributed to an atmosphere which was truly enchanting. Remarkably, it was nearly as good in the mornings. For I returned to the Loggia for my breakfasts. (My tip here, for the best view, is to sit on the table which is to the left of the arch you select.) Cold food is taken from the buffet. My choice each day comprised cornflakes, slices of melon, strawberries, chunks of pineapple, cheeses, tarts, croissants and marmalade. Hot dishes are brought be the waiters. They include fillet mignon, but even I am not capable of devouring beefsteak so early in the day, so I had mushrooms on toast. All these comestibles, hot and cold, were excellent. 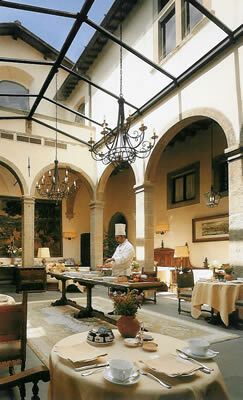 The Belmond Villa San Michele is like the best sort of film star: both famous and adorable. You will enjoy getting to know her. Via Doccia 4, 50014 Fiesole, Florence, Italy.